Although the weather is very changeable, both the U.K and the Netherlands have so far had a little bit of sunshine! Of course, when the weather is hot, what better way to cool down than with an ice-cream or an icy drink? 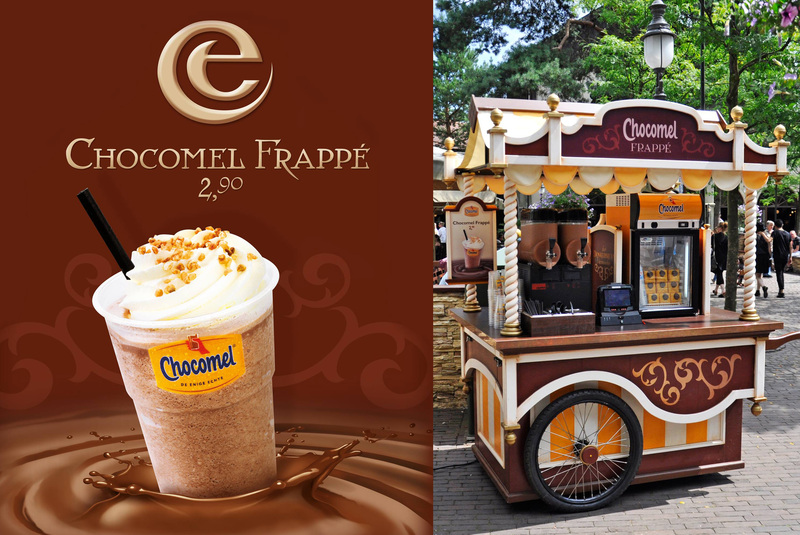 In Efteling, there is no shortage of these things! Can someone send us one over? Also, don’t forget the happiness stations! There are two in the park, one at Polle’s Keuken and one at het Witte Paard. 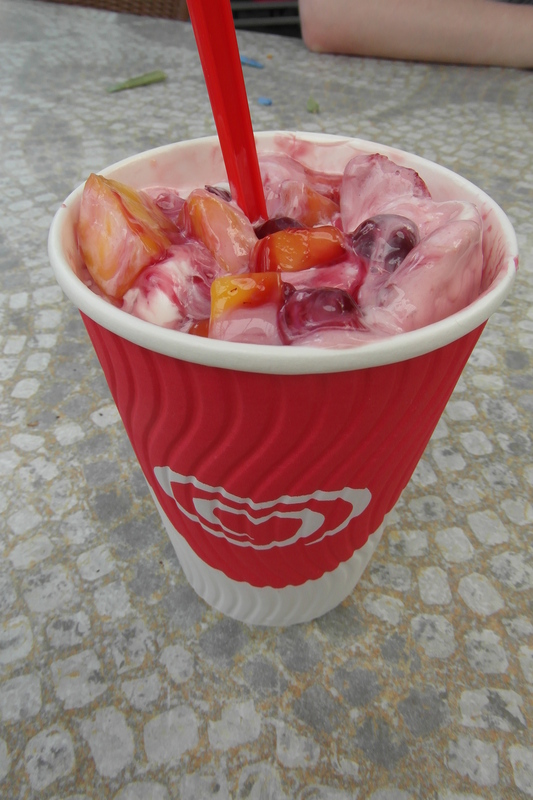 You can create your own little pot of happiness here, with ingredients such as a range of different fruits and sweet treats, all swirled together with Wall’s ice cream. Yummy! 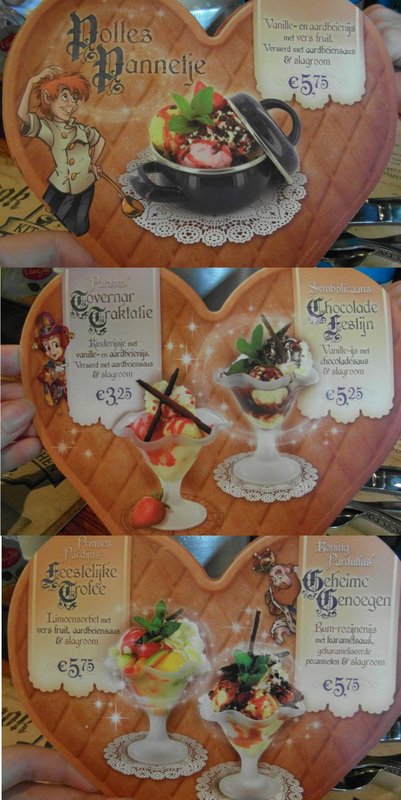 Of course, there are many more cool snacks available at Efteling! 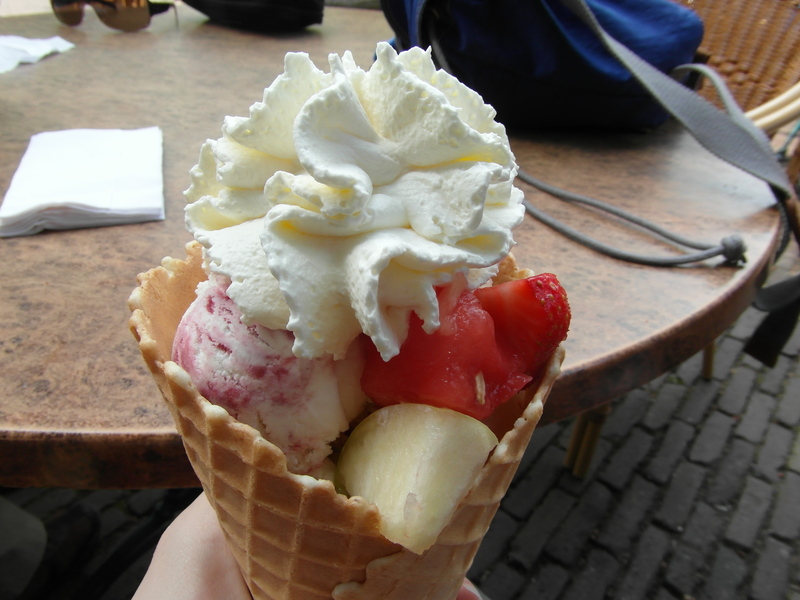 We could probably carry on talking about the many wonderful cold treats you can find in Efteling, but I’m sure those few are enough for any Efteling visitor to handle in one go 😉 Bon appétit! Den Suykerbuyk sells ice cream and waffles. 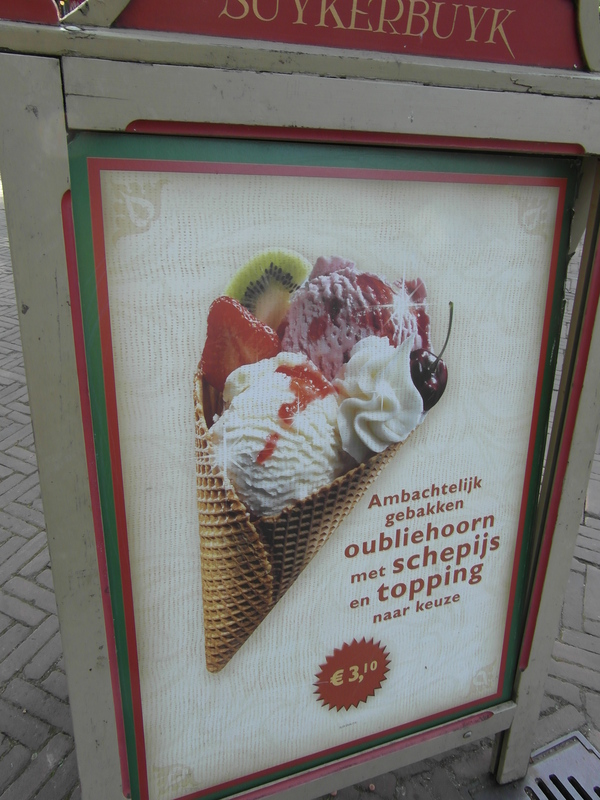 One of their specialities is the ‘Oubliehoorn’, which is a large cone, with fruit, 2 scoops of your choice of ice-cream, and whipped cream on top; all for only 3.10! We highly, highly recommend these, as they are very tasty, and at a great price, too! They are located at Anton Pieckplein.